“Dark Romance” (2013), the debut short from co-writer and director Matthew Mahler, accomplishes in eight minutes what most thriller features need approximately an hour and a half or more to do. It tells a complete tale, albeit a familiar one, without the excess often utilized in a full-length fiction. But, the most intriguing element about Mahler’s account is that there is a considerable build-up. There is a high level of of suspense generated in its brief run. We, as cinematic patrons, are also offered a consistent focus on the obsessive signposts of affection directed toward our lead, Tim Cooper (another remarkable portrayal from Timothy J. Cox). They begin simply enough. But, soon they spiral quickly, wildly out of control. On Monday, Tim is given a card with a poem inside. They announce the regards of a mysterious someone in his office. By Tuesday, the chain of events have become violent. Wednesday is the bleakest day of them all. Thursday unveils a darkly smirk-inducing epilogue. This condensed frame works beautifully. It also helps keep the intensity and pace wire tight. This also assists, in the tradition of the best white knuckle fabrications, in keeping our interest piqued to increasing levels throughout. Mahler makes the scenes showcasing the rapidly bizarre episodes for each of the previously stated spells as diminutive and to the point as possible. This narrative modus strengthens all of the aforementioned components terrifically well. Such is utilized via Mahler’s smart and claustrophobic direction. It is also strikingly unveiled in the sturdy screenplay he co-wrote with Ross Mahler. We are only allowed enough space in each sequence to see how unhinged Tim’s admirer is becoming. Before we can begin to fathom what is occurring, Mahler moves onto the next cringe-worthy instance. This makes for an undertaking that certainly delivers the exciting, expected ingredients of its genre. To its discredit, the central figures are vaguely etched. Nevertheless, we know enough to care for them. It more than suffices given the scant duration of the piece. This is especially true of our labor-minded advertising executive antagonist. But, Cox more than makes up for this by being continuously affable. He fluently projects the type of managerial individual everyone at any place of employment, be it genuine or imagined, would like to have making the daily decisions. Tim’s secretary, Tiffany (Tiffany Browne-Tavarez), shares nearly as much screen time as Cox’s character. She proves herself to be a capable counterpart to Tim. This is with a simultaneously vulnerable, unflinching and bravura enactment. Though she is as broadly authored as the personality Cox brings to life, the duo both make their respective interpretations feel clearly unique. Because of this, we are more than willing to overlook the expository gaps in the Mahlers’ script. The proceedings are so well-done that we can also forgive another lingering sensation. This is that there is nothing new about the Fatal Attraction (1987) style confines of the straight-forward story arc. The twists are mostly expected. Correspondingly, the reveal of Tim’s devotee is obvious. But, Mahler, who also provides the impressive cinematography and editing found herein, builds a plethora of memorable horror moments in an undersized expanse. Aside from the depictions and technical aspects, with Brian Shields and Ross Mahler both giving stirring turns in brief roles, this is where the real strength of the photoplay lies. Besides the already noted finale, what occurs on Tuesday is macabrely amusing. It is also masterfully designed. The segment optimizes its impact by eluding, but never glimpsing. Wednesday proves an appropriately unsettling, and grandly designed, climax. This arises as it more than ups the ante on the murderous crush taking place. The more light-hearted occasions of Monday mechanize just as well. They add a natural sense of enhanced disposition to Tim, Tiffany, and fellow employee, Cam (in a likable, credible and proficient representation by Cameron Rankin). It also adds similar personality to the composition as a whole. This is reflected in the natural, jesting banter that we hear early on. Such an attribute is just as active when the speech is more somber and terrifying in the advanced stretches. Mahler has offered an all-around solid exertion with “Dark Romance”. The 8mm Films production, made for a mere $500 as a part of The 48 Hour Film project, excels as an exhibition of perpetually worrisome mood. It lacks the visual potency and risk-taking apparent in Cox and Mahler’s later collaboration, “What Jack Built” (2015). In this concoction not a word was spoken. Furthermore, the entirety of its eleven minutes was a one man display. Still, this is a gripping effort. The New York shot opus intends to both entertain and frighten. This is while summoning a vibrant aesthetic and authentic sensibility. It does this splendidly. The chemistry between Cox and Mahler, as well as the crew and their spectators, is more than visible in every frame. There is abundantly enough here to recommend this labor of fanatical love. The devotion to the craft from all involved resonates throughout. “Dark Romance” is a true gem. Because of this, I greatly anticipate seeing what Cox and Mahler’s next collaboration, “Finality” (2017), brings about. “Transience” (2013), the seven minute debut short from writer-director Tan See Yun, is a testament to the power of images projected silently on-screen. Without the use of sound or dialogue, until a haunting piano melody creeps emotively over the soundtrack at five and a half minutes in, Yun relies on simple motions, facial expressions and repeated pictures to tell his tale. For instance, there is a sight early on where Tom (in an enactment by Joshua Michael Payne that is credible and accomplished) is shown putting his wedding ring back on his finger. Our minds are left to ponder the visage: is he not being faithful in the relationship? If so, why? What is causing this fracture between him and George (Timothy J. Cox in a wrenching, human and heartfelt bravura performance)? With no speech to push us along and provide an answer, we search through what Yun allows us to spy to find out why. Such only heightens the emotional resonance of all we encounter, enhanced by the brute professionalism radiating through every frame in its brief span, immensely. Likewise, there is a continued spectacle of a batch of flowers sitting in the middle of a kitchen table. This comes off as a symbol of George’s attempts to bring peace and re-ignited intimacy to the duo. There is also a moment that stands as a cornerstone of the endeavor. It arrives at three and a half minutes in. Such a happenstance oversees Tom coming across George by accident in a public place. This is an example of Yun’s tremendous capability to give a sequence a dream-like, poetic quality while maintaining a thoroughly authentic grasp. Such occurs as the bridges, lake and trees in this park area loom entrancingly, like gothic figures, in the background. Such is utilized to beautiful, chill-inducing effect. We also get a glimpse of George in this instant, as he sits in slumber with his hands on his stomach, clearly through Tom’s visage. It is than that we understand both of the points of view which culminate the project. We also comprehend the ability Yun has over his audiences all the more in gut-wrenches cases such as these. The result is further proof that what the psyche can conjure, especially in this manner, is far more substantial to the individual than any such reply pre-woven into the fabric of the narrative. Yun tells the tale of Tom and George. Tom appears to be unfaithful. He may be leading a life that George may be unaware exists. George is the most commitment inclined of the pair. He has a professional life that is thriving. All the while, George seems to want to cling onto the mannerisms of the young bachelor. This is where much of the turmoil derives in their multi-year marriage. We see George making many attempts to patch up this distance. This is via a hug or a kind glance. Still, Tom is distant. Such triumphs as a unique representation of the early and advanced phases in the cycle of the existence. What is all the more impressive is that Yun has put them in frame together. This act makes their polar opposite natures unmistakable. It also exemplifies wonderfully how different personalities create unique angles, which may become problems, in a romantic rapport. This is a fascinating concept. It is one which is stirringly erected throughout. With this, Yun gives us just enough to take in through his visual modus. Such is without weighing down the flow of the natural storytelling. Correspondingly, his writing and directing are similarly brilliant. They parallel moviemaking maestros such as Ingmar Bergman. This is in the way that the production often can be viewed as an extension of the stage as cinema. It also draws a sharp parallel to Federico Fellini. This is in Yun’s masterful aesthetic emphasis and command. All of these elements are sure to please fellow cinephiles. Yet, Yun showcases as much authority in his balanced, fluent pacing as in the aforementioned components. He has taken as many strides to make the piece a mirror to life itself, in its flawed and often harsh light, as he has a display of sheer talent. Also assisting matters is Mark Boyle’s breathless, illuminating and gorgeous black and white cinematography. Yun’s editing is exceptional. Ekin Asar compliments both the ordinary and extraordinary components of what we spy in the composition with splendidly done set decoration. The location design and assistant camera contribution Asar provides is incredible. Fairful Nizam’s lighting is immersive and spectacular. It makes every shot all the more potent, dramatic and delightful to the eye. The uncredited, lately used score fares just as astonishingly. These technical attributes all add on-going awe to an already hypnotic, cerebral and poignant endeavor. “Transience” begins, endures and ends remarkably. Furthermore, the New York City, New York recorded exertion is artistic, daring and refreshing. Yun’s undertaking harkens wonderfully back to the eloquence of the days of abstract, silent photoplays. This is while maintaining a consistently modern approach. In turn, Yun has presented an illustrious melding of the classic and contemporary. It is one which is simultaneously refreshing and necessary. This is a love letter to the big screen, derived by stripping cinema down to its bare essentials. Yet, the SIGH production is also a nuanced, striking and multi-dimensional character-study. It never forgets that focus. Moreover, it is an affair where even the meekest of optical bits, such as a flash where a game of Chess is quietly glimpsed in frame, seems to personify the twosome’s constant struggle for dominance in their nuptial link. A fiction which makes its spectators look that closely at all the details in the proximity of the account is evidently operating on a whole new level of prodigiousness. Yun has consummated this and more with this intensely evocative tour de force. This is that increasingly rare undertaking that satisfies on all levels. It will captivate and demand multiple viewings to fully appreciate and recognize all that lies beyond its surface. In this era, that is equally infrequent. We desperately need more moving pictures such as these. Yun has erected an envy-inducing exhibition of skill. This is film at its finest. 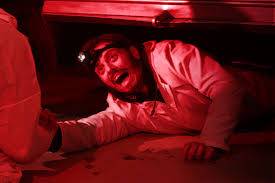 Near the mid-way point of writer-director Steve Lawson’s unapologetically entertaining, science-fiction/ horror undertaking, KillerSaurus (2015), Jed Bailey (in an amusing and ruggedly charismatic portrayal by Kenton Hall) dryly quips: “What do they got in there, King Kong?” As is well known, the quote originates from the iconic Chaos Theory-minded mathematician, Dr. Ian Malcolm. Such an immortal bit was previously delivered through Jeff Goldblum’s brilliant enactment of the eccentric personality. This was in Steven Spielberg’s timeless rendition of Michael Chrichton’s best-selling masterpiece, Jurassic Park (1993). Such a line, though obviously recycled, brought me an ever-broadening smile. This is because I am one of the legion who continues to look at Spielberg’s feature, and dinosaurs in general, as enduring personal favorites. To me, they remain an unbroken link to the merriment and wonder of childhood. This quality alone propelled my enthusiasm for Lawson’s already striking photoplay. 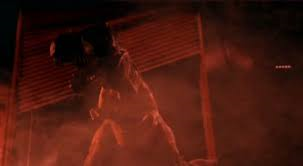 Yet, the relentlessly smoky, dark and playfully foreboding tone, refreshingly etched characterizations and the sparse, but mostly striking, uncredited effects are far more reminiscent of an entirely different moviemaking endeavor. This is legendary craftsman Roger Corman’s enchanting camp classic, an adaptation of a 1984 novel by Harry Adam Knight (whose real name is John Raymond Brosnan), Carnosaur (1993). Regardless of the way it attaches itself to these past nostalgias, lofty ambition and imaginative inklings are clearly visible. This further punctuates the highly charming, made for the drive-in sensibility that pulsates throughout. Likewise, much of the banter, especially when describing the creation of a Tyrannosaurus Rex with the aid of a 3-D printer, is fascinating. The specifics which accompany this particular invention, spread throughout the labor largely via Professor Peterson (a watchable enactment by Steven Dolton which captures all the attributes of the modernized ‘mad scientist’ persona splendidly), are equally gripping. They triumph at filling in the backstory gaps in an intriguing fashion. It is done in a manner which, simultaneously, isn’t extraneous. Also, it doesn’t bog down the continually smooth pace. Additionally, these notions, especially the formation of the carnivore itself, are also clever. Much in the same vein, they are intellectually stimulating theories to ponder. This comes off as highly comparable to Jurassic Park in another arena. This is to that of billionaire John Hammond’s own personal modus of bringing to life these long extinct beasts. The use of frogs is existent in Lawson, Chrichton and Spielberg’s fabrications. Still, the number never fully relies on this parallel to enthrall audiences. Lawson has gleefully utilized these conversant elements to build an alternately meditative and engaging opus. It is one which is distinctly its own entity. Such a sensation broadens in a certain moment where information about the final vision concerning Professor Peterson’s menace is unveiled. A late third act issued fact about this creature brings this impression especially forward. This data mirrors the terrific fourth installment in the Jurassic Park franchise, Jurassic World (2015). Such a recollection arises when we find out that the resurrected relic is being planned to be used as a war weapon. This is courtesy of a mysterious governmental organization. We eventually learn that they are funding Professor Peterson’s project. Lawson commences the narrative of his sixth cinematic venture with a tense, attention-garnering and technically impressive on all avenues ten-minute opener. During this sequence, tragedy befalls Professor Peterson’s secret research facility. This is when the above-mentioned fossil reptile slaughters many of the members of the area of “The Center”. After a skillfully designed, and spectacularly visual acknowledgements scene, we move forward in time. From this point, we uncover that our protagonist, Kayleigh Ma (in a finely wrought and multi-dimensional depiction by Helen Crevel), has been forced to sign a non-disclosure agreement. This is concerning the horrific dealings in Peterson’s building. 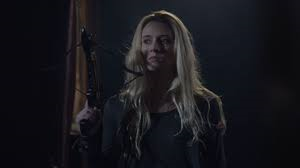 Frustrated, she hesitantly goes back to the place of the initial bloodshed alongside blogger Bailey. Soon the two are drawn back into the life Ma was forced to not discuss. From herein, concealed intentions are exposed. Just as terribly, the vicious creature proves to be as much of a ravenous threat as beforehand. Inevitably, a fight for survival ensues. This is as both the sixty-five million year old fiend and the association that is backing Professor Peterson makes their presence increasingly known. Though the plot seems fashioned from the same related sources as it winks at in both sights and dissertation, the Creativ Solutions production and Wild Eye Releasing and 88 Films distribution never seems that way. This is because Lawson has given us a late-night delight. It is one which has a balance of wit and will. This is despite its obvious financial restraints. The composition also wisely subscribes to a proven adage. This is that the act of making your audience wait to see the beast shall increase effectiveness and unease. Such an approach summons the ideology behind another Spielberg tour de force: Jaws (1975). As a matter of fact, we do not see the Tyrannosaurus Rex in full until forty-four of its seventy-four minutes have passed. Yet, the elusions to the ferocious mammal generates an ominous ambiance. It helps us anticipate the visage of the upper-Cretaceous Period giant all the more. When we finally do view the ancient terror, it only enhances the impact enormously. Such appearances are kept to a minimum. Proving these tested guidelines of similar exertions correct, this elevates the interest and investment in what is accruing on-screen. Best of all, it shapes the intensity perceived within into an ever-palpable and taunt construction. This bareness is riveting for most of the sit-through. Such is especially true when the minimalism present is issued in relation to the limited personalities in the tale itself. It also is just as accurate in consideration of the few locations used. This makes the piece all the more claustrophobic and resourceful. Even the small scale and infrequent action segments, which are both nail-biting and inventive in their own right, carry a charm that any measure of overwrought, multi-million dollar spectacles will never know. For example, there is a late second act passage involving Bailey being locked in a room with the villainous theropod. This is a deft illustration of how impeccably these components combine in such instances. In retrospect, Lawson’s effort is a masterclass in this avenue. This is until this strength of the slight is interjected to concoct an abrupt, and relatively, limp finale. Such an incident occurs at sixty-eight minutes in. It, rather cleverly in hindsight, intends to elude to what happens solely through a single item of speech. This is provided as a replacement to showcasing these motions. Still, the arrangement remains stalwart as a whole. This is shaped tremendously by the assistance of the likable, high-caliber turns from everyone involved. Julian Boote as Andrews, Adam Collins as Sergeant, Vicki Glover as Amy and Marc Hamill as Laser Technician all offer credible, proficient representations. They bring life to individuals that could’ve easily become genre stock. Lawson’s crisp, clean and immersive cinematography, editing, camera work and sound contribution are spectacular. His direction and writing are equally sharp and stylish. Furthermore, Alex Young’s original score is thrilling. It perfectly complements the material. Kevin McLeod’s end montage music fares just as well. Though the story arc is as familiar as the twists which are found within, Lawson has delivered a superior B- gem. There is a welcome and appropriately retro feel to the the proceedings. Such an impression remains unwavering. This is even when modern touches, such as the flashes of various explosions spied in the climax, are visibly computer generated. These minor glitches are easy to forgive. It is because KillerSaurus is consistently fun. The account never gives into being too self-aware. In the tradition of the best entries of its ilk, it is somber in mood yet, doesn’t take itself too seriously. Even if the culminating result isn’t as close to Spielberg as it would like to be, there is an abundance of ingenuity and talent operating on various levels throughout. Such makes Lawson’s exertion a magnificent case of all that can be completed without fiscal excess. It is also an exhibition of what can be instituted when deprived of an overabundance of special effects and gore to substitute excellence. Of the catalogue of accomplishments Lawson derives, this is the most necessary and incredible of them all. Today I have the honor of talking to filmmaker Veemsen Lama! Welcome! Can you tell us about yourself? I was born in Nepal and moved to the UK when I was 18. I am a storyteller, a filmmaker, and a YouTuber. I make a new video and upload it onto YouTube every week (www.youtube.com/veemsenlama) – they include short films, music videos, vlogs, etc. 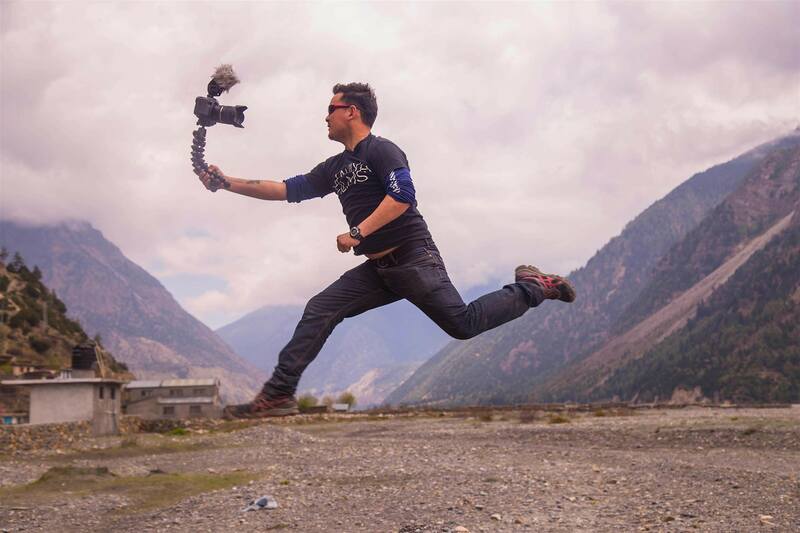 When I was in Nepal and still a kid, we used to watch many Bruce Lee, Jackie Chan and Van Damme films, which have had a huge influence on me and made me want to tell my own stories. Once in the UK, I had the opportunities to both study film and start making short films. You taught yourself how to be a filmmaker through YouTube videos and tutorials and similarly themed books while in the British Armed Forces. Later, you studied Digital Film Production at Ravensbourne in London. What was this process of education like for you? When I was learning from the Internet and books, it was not formal education. Joining Ravensbourne gave me more confidence, more opportunities to network with other filmmakers. Filmmaking is all about teamwork and collaboration. Film school also gave me the opportunity to use more kits such as good cameras, lighting kit, studios, sound gears etc. How do you feel your work in The British Armed Forces helped shape the types of tales you tell as well as the narratives you choose to evoke through the medium of the screen? I think my experience and journey in the military helped me to create and relate many stories. Filmmaking is all about teamwork and collaboration and I learnt exactly the same thing whilst I was in the army. Filmmaking and military exercises are similar in that sense. Also, neither is easy! I think a good director is a good leader because many people rely on his idea, and if he fails with his vision, then the whole film fails and so will the whole team. This is how we learn to complete a mission in the army – with good leadership, good planning, and good preparation, we achieve our aims and it is exactly the same in the filmmaking process. 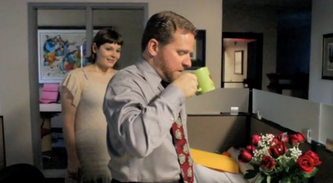 What brought you to create your wonderful 2015 short, “Maya”? A couple of years ago, when I went to Nepal, I took a picture of some street kids sleeping next to dogs. I spoke to them on one of the following days and they told me they were homeless, but they still had those dreams, those hopes of being happy, of having a good life. And after that day, I told myself I wanted to make a film about street children, who -despite their horrible situation- still had simple and beautiful hopes and dreams. There is obviously a theme of love and optimism amid darkness and danger in “Maya” that makes it all the more emotionally stirring. This is also a common theme in your catalogue. What draws you to these topics? I just want to tell simple stories, stories of those who are poor, those who are suffering and those who keep dreaming no matter what, those who fight and are hopeful in their everyday lives. I like to tell stories people will be able to relate to easily and get involved emotionally with too. “Maya” is still doing well in film festivals. Congratulations! How vital are these types of gatherings to a filmmaker? Why? Thank you so much. Stories and films are like our babies. We spend a lot of time in pre-production, production and post-production. We – as filmmakers and storytellers – give our hard work, our sweat, our time and our everything in order to bring our characters to life. The filmmaking journey itself is an emotional one that is connected to our life, our family and our dreams. It feels relaxing and pleasurable when you know your hard work is appreciated. I think, as an independent filmmaker, I need this sort of recognition to encourage me to do more, always work harder, and simply keep going. You have a new short coming out called “Chyanti”. It is currently in post-production and is scheduled to be coming out in the summer. What else can you tell us about this project? “Chyanti” tells the story of Ram, a guerrilla fighter, a father and a husband who – in the midst of the Maoist revolution – returns home to celebrate the festival of Dashain, only to realize that if he is to feed his family and send his daughter to school, he must sell Chyanti, the family goat, so beloved by his daughter, Sani. 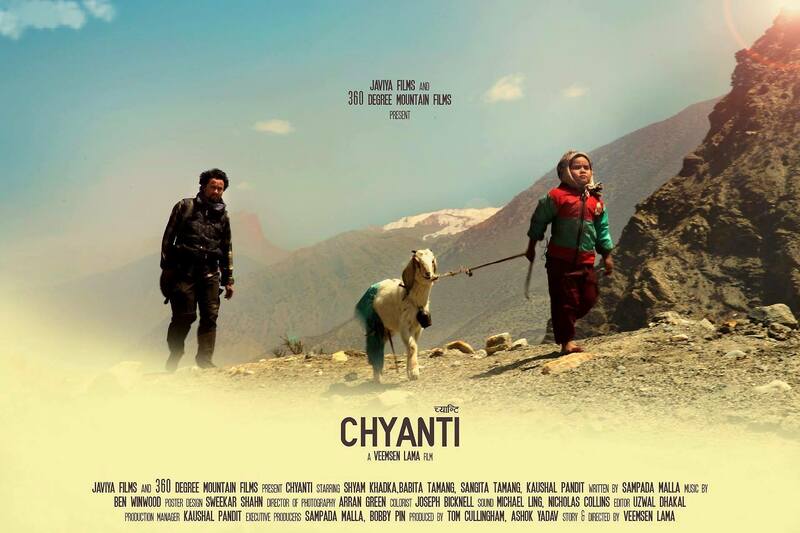 “Chyanti” was really hard to shoot and became a very expensive short film too. I wanted to capture the beautiful mountainous landscape because landscape is one of the characters of the film. 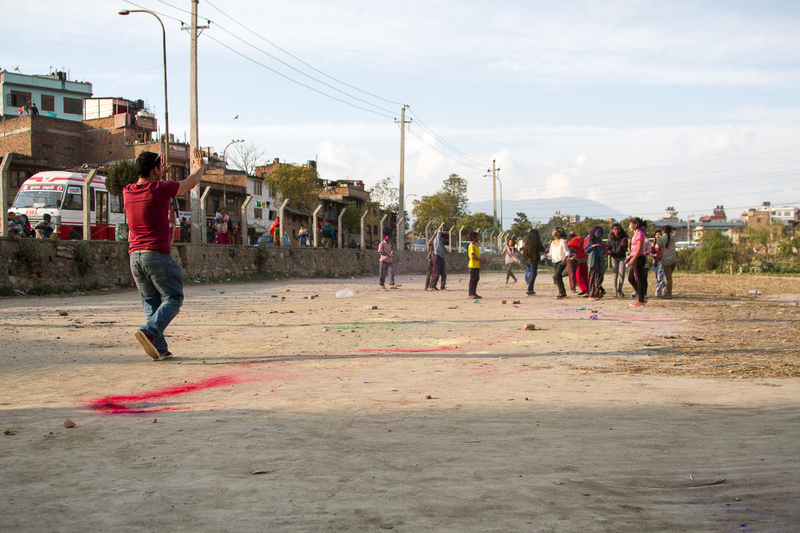 We had to travel to a remote Nepalese village, which was a 10-hour drive from Kathmandu. Furthermore, there were no proper Internet connection, phone signals and electricity. Those really were the main challenges! And then, all of the sudden, the crew started to get altitude sickness too and had to be evacuated by rescue helicopter. 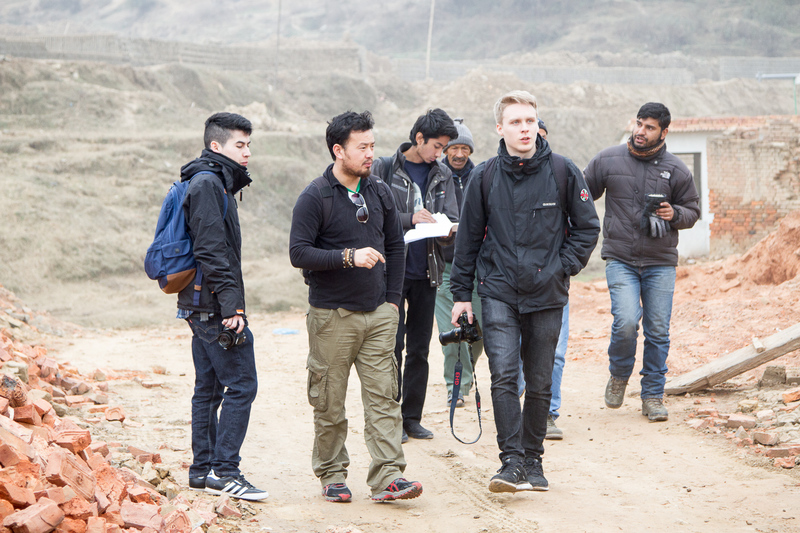 But it was worth it – despite of all those problems, we completed the shoot and returned to Kathmandu safely. Also, you have your own production company. It is called Javiya Films. How did this come about? I’ve always wanted to have my own production company and when I was in film school it just kind of happened and I created my own brand, which I named after my daughter, Javiya. She is my lucky charm. You also have a feature length film in the works. What can you tell us about this? We are in pre-production of some horror projects at the moment and planning for drama films. What words of advice would you give those who are trying to get started in filmmaking and don’t know where to start? Technology has made our life much easier, allowing anyone to tell stories, whenever and wherever. So my advice would be: Don’t make excuses if you really want to make films – just tell your stories! Find the best story that’ll get your audience connected and involved. If the story is poor, it doesn’t matter how good the actors are or what cameras you have used, it will fail. Finally, don’t talk about it, just do it. Take action and action creates results. You have sixteen shorts under your belt. Your earliest was in 2013. It was called “Neema”. How do you think you have grown as an artist in the three years since this project was released? In 3-4 years, I think I have learnt a lot. All the short filmmaking was part of the learning process. I feel more grown up, more mature in storytelling. I used to focus on cameras and gears but now I mainly care for the quality of the story and the best way to tell it. Let me give you an example- A film is like a bus and the director is like the driver. All the passengers are like your audience. Once they are on the bus, they care about the journey from A to B. They forget about whether they are standing or sitting when the bus starts. As the driver of the bus, I have to make sure my passengers feel comfortable throughout the journey. Making a film is all about the journey and if the journey (story) is bad, then you’ll have a disappointed audience. It’s as simple as that. Once your audience is connected and involved in the story, they can forget everything else. Nobody will care what camera you have used or what lighting you have used if the story is good. So the story is –in my opinion- the very first priority. You are also a screenwriter, cinematographer, producer, actor, assistant director and camera operator. What draws you to these particular facets of moviemaking? As an independent filmmaker, you should be able to do a bit of everything, I guess. Sometimes, you might have to act as one army man and if you are lucky then you will have a team of 20-100 people, who will make your life easier and help you turn your vision into a potential blockbuster. It is always good to put yourself in other people’s shoes in filmmaking, but I’d say directing is my bag. I actually started filmmaking as a cinematographer and I think a cinematographer is the eye of a film; he or she is the one responsible for the visual elements of a film. And I personally like the visual side of filmmaking better than the storytelling. I think I can show more. Which is why it is easy for me to communicate with my cinematographer about what kind of shots I want. Also, I normally create my own story so that it is easier to envision a film. I am a good screenwriter but I am still learning to write. And if I can write a great screenplay then I won’t have to explain each and every element of my vision to the screenwriter, which would speed up the process. I don’t like producing because I don’t really enjoy logistics, paperwork, finding funds, etc. I love to be creative and I like that creative process! However, should there be no producer, I’d know how to do the job as I have done that job before. I played in a few films too when I was at film school and we couldn’t find actors, but I am not really a great actor. What modern artists (may it be writers, fellow directors, actors etc.) are you most inspired by? Why? Do you see yourself collaborating with any of these individuals in the future? Alejandro Inarritu, James Wan, Christopher Nolan have always been massive inspirations. These storytellers have different styles of storytelling. Alejandro Inarritu’s Babel and 21 Grams are so unique in the sense that he connects many stories in one. 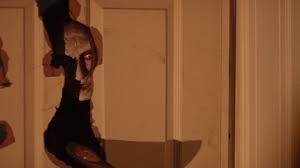 James Wan style of horror has always inspired me and made me want to make horror films. The way he uses the camera slowly and smoothly, rather than making a lot of cuts, creates scary situations that make people scared and affect them psychologically. Christopher Nolan’s Inception is mind blowing. That will stay in my mind for the rest of my life. I want to make a film like that, one that people will never forget. You have worked in the genres of romance, action, horror and drama. Is there any other categories you see yourself branching out into? Why? I am a big fan of horror and drama films. So I will probably start with the horror genre and move to drama and why not become an actor later. 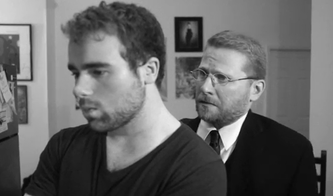 Horrors can be done with a smaller budget, so it might be a good way to start. Do you have any other upcoming projects you would like to discuss? We are working on some horror features at the moment and plan to shoot next summer. I can’t disclose further information though. Thank you so much for giving me this opportunity to share my story and my thoughts. Cheers to you guys for supporting and helping independent filmmakers! Thank you for your time! I look forward to checking out your upcoming projects! *The pictures utilized throughout are credited to ©Javiya Films (http://www.javiyafilms.com/). “Yeah, Love” (2008), the seventeen minute and fourteen second debut short from writer-director Becca Roth, is simple, straight-forward and honest. This is in the most effective manner possible. The gentle sincerity it takes towards its coming of age content and characterizations elevates both the general charm and overall optimism of the piece tremendously well. Unlike most romantic comedy-dramas of late, Roth has derived a narrative credibly built from reality imitating dialogue, circumstances, causes and effects. Never once do we sense the project is deliberately pushing its audience and manipulating its leads towards a pre-conceived destination. Instead, we are given a finale which is merited, spectacularly designed, quaintly ambitious and sentimentally rousing. To its continued praise, the means in which the configuration doesn’t weigh itself down in melodrama or overwrought idealism, so prevalent in similar fare, makes this all the more genuine, joyous, upsetting and refreshing. There is no lack of subtlety in Roth’s use of symbolism. These often expose the men of the fiction as stereotypically hormonal and occasionally combative. Regardless, this certainly enhances the perspective of hurt, angst, confusion and unexpected bliss which formulates the singular outlook of the affair. It is also just as reflective of the largely confusing teenage years as a whole. This range works exceptionally throughout. 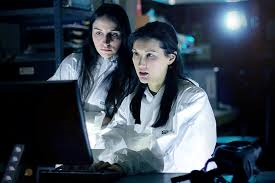 This is because it mechanizes, though often in a standard fashion, as a way of getting us inside the interior of our awkward heroine, Emmily (in an ever-likable performance by Crystal Franceschini which is impossible not to be captivated by.). Roth taps into a portrait of youth that is charming and endearing. This is because it is so universally relatable. For instance, Emmily often tries to mask the embarrassment her loving dad (Timothy J. Cox in a standout role that is hilarious and earnest; proving again his chameleon-like ability to make any character he is given completely his own) unintentionally casts her way. We are also given more than our share of tear-jerking moments. Such is apparent when Emmily tries to shut the world out entirely. There is an extended segment where she lies on the floor of her home in complete defeat. Such arrives late in the second half of the arrangement. This is a deft example of such tropes operating at uniquely high levels of relevance. Emmily’s voice-over, credited to Roth, also adds infinitely to these sharply drawn qualities. This is because this aspect stings with often self-deprecating humor and wit. It is also laced with tragic doubts and observations. Such makes for a rounded, smartly paced, tonally fluent and always enjoyable slice of cinema. Roth chronicles the shy, Emmily. Often seen avoiding social situations and making a fool of herself when all eyes are on her, the unimaginable pressures of high school on the introverted is beautifully and tenderly expressed. The nervousness that Emmily elicits when around others is heightened when she finds herself having a crush on an older female student, Milo (Paton Ashbrook in a wonderful turn; a perfect counterpart to Franceschini’s bold enactment). After a chance meeting in a park between the two, the once seemingly unmanageable relationship Emmily would like to have with Milo doesn’t appear so unlikely. There is a comically successful and engaging montage where Emmily tries to put her feelings for Milo into words. The next day, Emmily hesitantly and fearfully delivers the composition to Milo. The harsh laughter it exudes from fellow classmates causes a crushing, and terrifically captured, flash of pain and humiliation. From herein, Roth seems intent to make the heart soar. This is as the exertion hits an impassioned and splenderous zenith. Such is a sensation it carries on its back victoriously in resonate concluding minutes. All of these incidents are given extra dimension by the perfectly punctual songs which formulate the soundtrack. “Be Be Your Love” by Rachel Yamagata is especially atmospheric. It is this canvas of alternating ambiances Roth paints this undertaking with spectacularly. The aforementioned sequence involving Emmily’s writ impressions is undoubtedly the centerpiece of the tale. Still, Roth turns out an arc that has more than its share of familiar categorical beats. Such is perceived in an opening that finds our lead riding in a form of public transportation by herself to personify her loneliness and isolation. Yet, the product endures as stalwart and refreshingly authentic. It never for an instance becomes as noticeably rote and stale as the similarly ardor filled entries which fill theaters nowadays. This is largely courtesy of Roth’s uncanny ability to immediately pull us deeply into the Emmily’s vulnerable world. It keeps this watchable hold on its audience for the runtime. The result is the raising of the emotional stakes to unfathomable levels. We dearly want Emmily to unveil her happiness just as desperately as she does. This is proof of the brilliant writing Roth orchestrates. It is also a bravura showcase of the apparently effortless directorial style she demonstrates. Such is also a testament to the incredible caliber of the portrayals herein. Representatively, Paul Fabre as Toby, Ryan Radermacher as Brad, Michael Steiner as Duke, Monisha Chowdhary as Therapist and Isabel Hilario as Morgan are all fantastic in their small bits. Likewise, various other technical angles fare just as luminously. The cinematography from Aaron Fisher and Roth, who also issue the proficient sound gracing the endeavor, adds a gritty edge to the proceedings. The same can be said for Roth’s editing. The Finding Emma Productions release is a massively illuminating achievement. Though Milo and those in the background of the story are intentionally only vaguely formed personalities, Emmily is incredibly developed. Roth has given us an exhibition of singular viewpoint that is fully encapsulating. This is a courageous student film. It is one brimming with talent and endlessly successful risk-taking. Though the theme Roth presents has long been utilized on the silver screen, it is as direct and necessary as ever. There is a natural, unrushed and clear touch to all we come across in “Yeah, Love”. Where lesser indulgences would sink beneath the acquainted components Roth weaves into the fabric of the saga, this opus is largely strengthened by them. Roth has crafted a real winner. This is a display of art imitating life at its finest. A mere three days after its wrap-up of filming On July 30th, the official trailer for acclaimed writer and director Richard Griffin’s adaptation of William Shakespeare’s timeless comedy, A Midsummer Night’s Dream, has arrived. At precisely 7 p.m. on August 2nd, 2016, Griffin gave a seventy-second glimpse into the twenty-first full-length feature under the Scorpio Film Releasing banner via Facebook. The motion picture, scheduled to be released on January 14th, 2017, promises to be a take on the immortal Bard’s oft tackled play, which was first published in 1596, as never spied before. With an incredible cast led by Anna Rizzo as Titania and Jamie Dufault as Demetrius, along with Griffin’s uncanny knack for comic timing, such is a promise the talent at hand is more than capable of delivering upon. There is also a true sense of magic clearly evident. Such is only made all the more palpable and vibrant by Jill Poisson’s lush, gorgeous cinematography. This is another spectacular characteristic which is proudly at the forefront throughout the hypnotic preview. 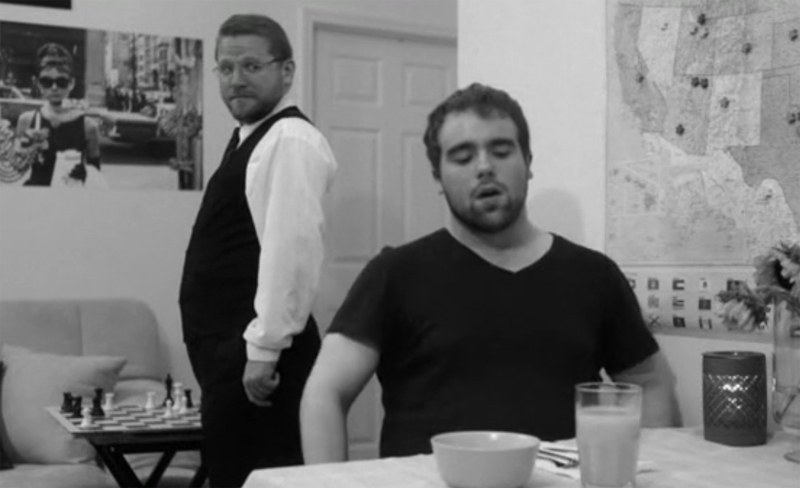 The movie also stars Christian Masters as Snug, Steven O’ Brien as Theseus and Laura Pepper as Robin Starveling. It also oversees the incredible talents of Johnny Sederquist as Puck and Robin Goodfellow, Casey Wright as Robin Peaseblossom and Elizabeth Loranth as Helena. Aaron Andrade appears as Snout, Lee Rush as Hippolyta and Ashley Harmon as Hermia. Margaret Wolf provides the wonderful costume design. It is another astonishing attribute immediately noticeable in the above exhibited advertisement. John Dusek and Torey Haas are credited with the special effects. The editing is conducted, much in the manner of Griffin’s prior efforts, by the principal of the piece. Bringing Griffin’s distinct version of A Midsummer Night’s Dream to the screen has been a passion project for the cinematic artist. He has been trying to get the endeavor to see fruition since 2000. In that year, he released his cinematic debut, Titus Andronicus. This was a modernization of one of Shakespeare’s lesser known works. The original composition of which was understood to have been initially distributed circa 1588-1593. With this in mind, it is easy to see Griffin’s knowledge and respect of the literary master. Such a realization makes the excitement to see Griffin’s latest production, which he is not shy about sharing his own enthusiasm for, all the more intense. I know I greatly anticipate experiencing the sure too be masterful opus myself.